With the ladies taking a break this week, it's a good time to take a look at the most important stats from the first 20 tournaments of the 2015 schedule. It has been a real rollercoaster ride for Morgan Pressel the last 6 weeks, with finishes of 3rd, MC, 5th, MC, 5th, MC, 22nd, MC. Brooke Henderson's finish this past week earned her an additional $7,952, bringing her total to $466,818. To obtain her LPGA card, and avoid having to go to Q-School, she would have to finish the year with earnings that would be 40th or better on the 2015 LPGA money list. She currently would be #20. Last year the 40th place player made $447,648. She has made this money while only teeing it up 9 times this year. To give you an idea how good that is, LPGA stars Gerina Piller and Brittany Lang rank behind her on the money list even though they have each played 19 events. Mirim Lee, who is one spot ahead of her, has teed it up 16 times. She is next scheduled to play in Canada two weeks from now. 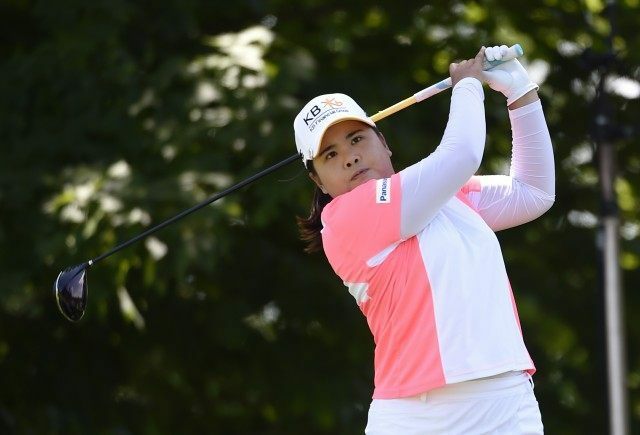 Non LPGA member Jin Young Ko vaults up from #28 to #17. So Yeon Ryu has finished in the top 15, seven out of her last 8 tournaments. Jenny Shin is quietly having a very solid season. She has only finished outside the top 30 three times this year in 19 starts. Pornanong Phatlum has missed 5 consecutive cuts. It is not going well at all for the Jutanugarn sisters. Moriya has missed 7 cuts in her last 10 starts, while sister Ariya has missed the cut in 10 consecutive tournaments. If Inbee maintains her lead for POY and scoring average (Vare) she should have the 27 points necessary for inclusion in the LPGA HOF.